Concert Sound engineered and designed for your venue with our state of the art digital equalizers/compressors etc. 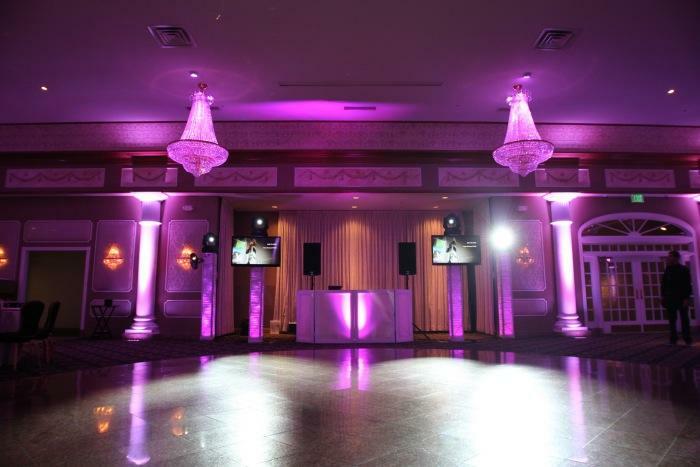 Four intelligent lights for spotlighting, customized light shows, and club atmosphere. TV package upgrade which includes: two 60″ lcd screens, custom made montage, candid photographer displaying live pictures throughout the reception, and choice of live simulcasting or a live instagram feed. Four man entertainment team. 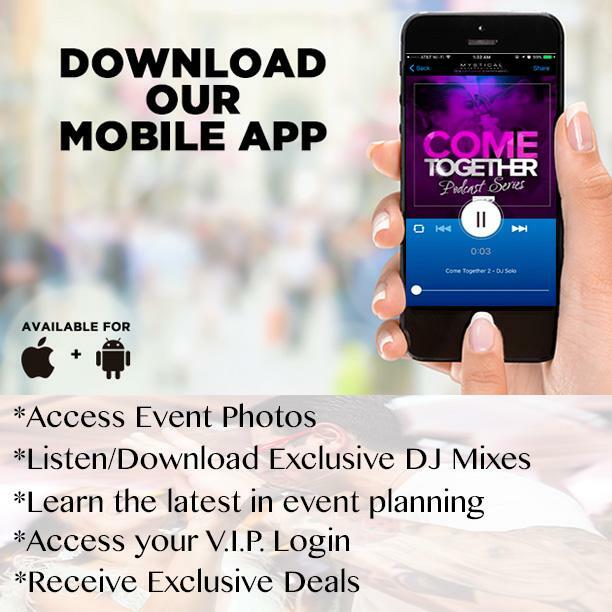 Dedicated DJ, one Master of Ceremonies, one lighting technician to design custom light shows specifically for your catering venue, and one candid photographer to capture vivid and fun moments throughout your wedding reception. Mystical Entertainment is proud to present our new Stellar Package. Our Stellar package is tailored for corporate events with 200 or more guests although smaller events may like the addition of the TV package as well. Alongside the intelligent lighting and larger sound system, Mystical Entertainments Stellar package includes our amazing TV package upgrade. 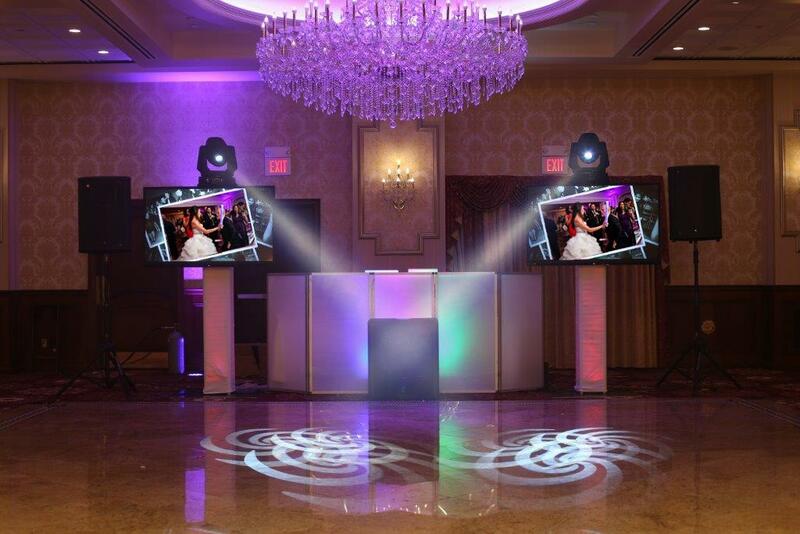 Two state of the art LCD screens can be used to show custom made montages, candid pictures taken throughout the night, and even live simulcasting of the formalities. In addition Mystical Entertainments Stellar package will bring the entertainment of your event to a new level! Two intelligent lights for spotlighting, customized light shows, and club atmosphere. Three man entertainment team. 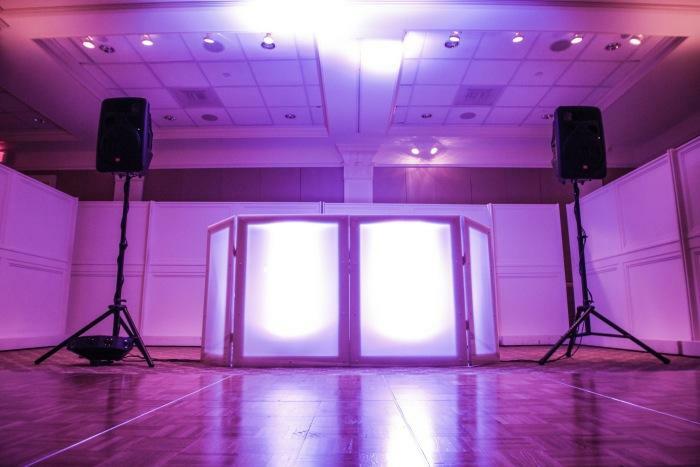 Dedicated DJ, one Master of Ceremonies, and one visual technician to design custom light shows specifically for your catering venue. 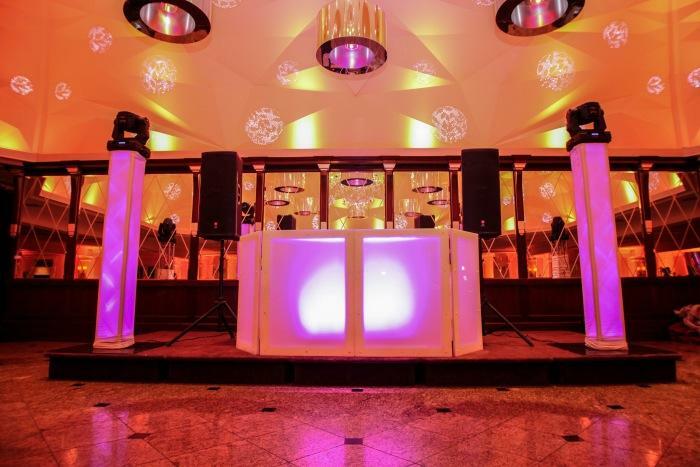 Mystical Entertainment’s Cosmic package for corporate events is the perfect fit if you are looking to bring your holiday party or soiree to the next level. State of the art sound system including a subwoofer for added bass. Two intelligent lights for spotlighting and customized light shows designed specifically for your catering venue.